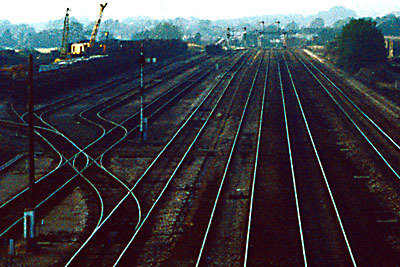 The layout at Silk Mill Crossing. 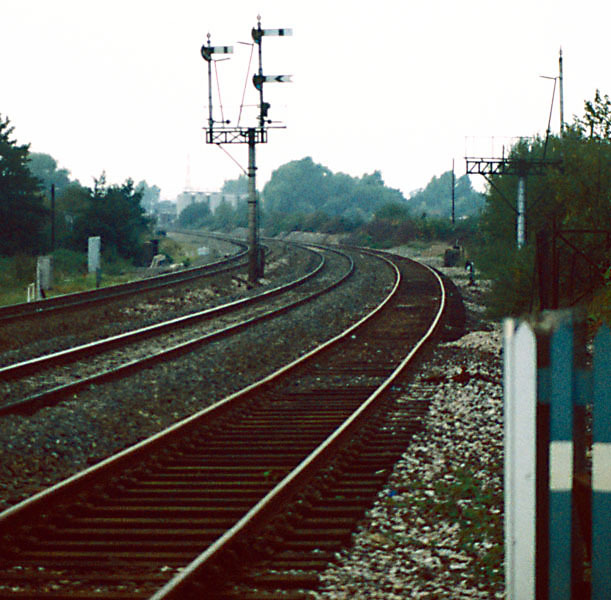 On the left is the defunct up relief line; the West Somerset Line joins the up main at the bottom right. 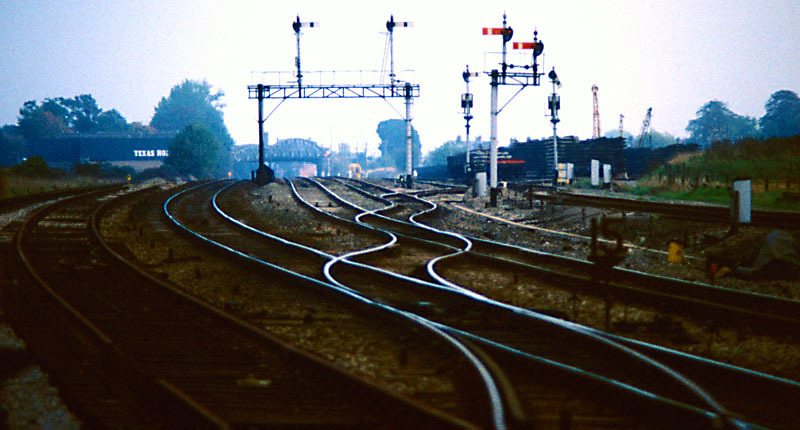 Beyond the down main and the relief line convergence are the goods lines to Taunton East Junction, and Fairwater Yard. 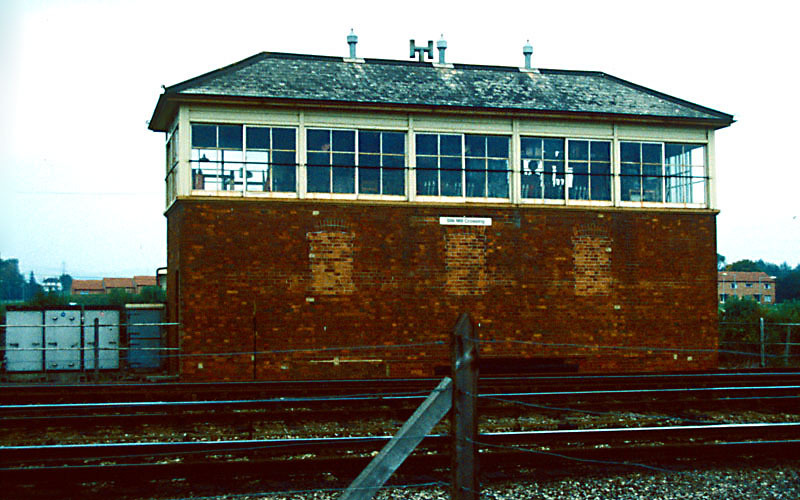 A long-range view from the overbridge in the above picture (near the site of the former Taunton West Junction). The up home, with Taunton West Station's distant below and the WSR line on the right.